Hepburn was born in Milton, Pennsylvania, on March 13, 1815. He attended Princeton University, earned a master's degree, after which he attended the University of Pennsylvania, where he received his M. D. degree in 1836, and became a physician. He decided to go to China as a medical missionary, but had to stay in Singapore for two years because the Opium War was under way and Chinese ports were closed to foreigners. After five years as a missionary, he returned to the United States in 1845 and opened a medical practice in New York City. In 1859, Hepburn went to Japan as a medical missionary with the American Presbyterian Mission. After first arriving in Nagasaki in October 1859, Hepburn swiftly relocated to the newly opened treaty port of Yokohama, opening his first clinic in April 1861 at the Sokoji Temple. Initially residing at Jobutsuji in Kanagawa, a dilapidated temple formerly occupied by the Dutch consulate, Hepburn was the first Christian missionary to take up residence close to the newly opened treaty port. Hepburn's family shared accommodation at Jobutsuji with Dutch Reformed minister Rev. 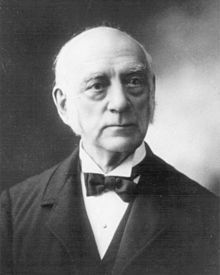 Samuel Robbins Brown and all were quickly absorbed into the local foreign community, Hepburn being appointed honorary physician to the US Consul, Townsend Harris. Hepburn's first clinic failed as the Bakumatsu authorities, wanting the missionaries to relocate to Yokohama, put pressure on patients to stop going to it. In the spring of 1862 Hepburn and his family relocated to the house and compound at Kyoryuchi No. 39, in the heart of the foreigners residential district in the treaty port of Yokohama. There, in addition to his clinic, he and his wife Clara founded the Hepburn School, which eventually developed into Meiji Gakuin University. Hepburn's Japanese pupils included Furuya Sakuzaemon, Takahashi Korekiyo, and Numa Morikazu (沼間守一). 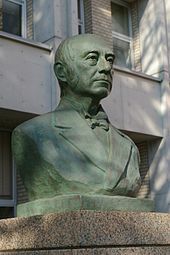 For his medical contributions to the city of Yokohama, Hepburn Hall was named in his honor on the campus of Yokohama City University School of Medicine. In May 1867, with the collaboration of his long-time assistant Kishida Ginkō, Hepburn published a Japanese–English dictionary which rapidly became the standard reference work for prospective students of Japanese. In the dictionary's third edition, published in 1886, Hepburn adopted a new system for romanization of the Japanese language developed by the Society for the Romanization of the Japanese Alphabet (Rōmajikai). This system is widely known as the Hepburn romanization because Hepburn's dictionary popularized it. Hepburn also contributed to the translation of the Bible into Japanese. He died on September 21, 1911, in East Orange, New Jersey, at the age of 96. ^ a b "James Curtis Hepburn: H: By Person: Stories: Biographical Dictionary of Chinese Christianity". www.bdcconline.net. ^ Ion, Hamish, A. (2009). American Missionaries, Christian oyatoi, and Japan, 1859-73. Vancouver, BC: UBC Press. p. 37. ISBN 978-0-7748-1647-2. ^ Ion, Hamish, A. (2009). American Missionaries, Christian oyatoi, and Japan, 1859-73. Vancouver, BC: UBC Press. p. 80. ISBN 978-0-7748-1647-2. ^ Hepburn, James Curtis (1886). A Japanese–English and English–Japanese Dictionary (3rd ed.). Tokyo: Z. P. Maruya. Retrieved 2009-07-25. ^ "Romajikai - Wiktionary". en.Wiktionary. San Francisco, California, United States: The Wikimedia Foundation, Inc. 12 November 2017. Retrieved 7 December 2017. Borrowed from Japanese ローマ字会 (ローマじかい, Rōmajikai), from ローマ字 (ローマじ, rōmaji, "romaji, romanization of Japanese") + 会 (かい, kai, "association"). ^ "Japanese Order for Missionary" (PDF). The New York Times. March 15, 1905. p. 13. Retrieved 2009-07-25. Hepburn, James Curtis (1955). Michio Takaya (ed.). The Letters of Dr. J. C. Hepburn (in English and Japanese). Tokyo: Toshin Shobo. OCLC 2590005. Malone, Dumas, ed. (1928). Dictionary of American Biography. 8. New York: Scribner's Sons. OCLC 24963109. Ion, A. Hamish (2009). American missionaries, Christian oyatoi, and Japan, 1859-73. Vancouver: UBC Press. OCLC 404613481. This page was last edited on 23 December 2018, at 20:48 (UTC).